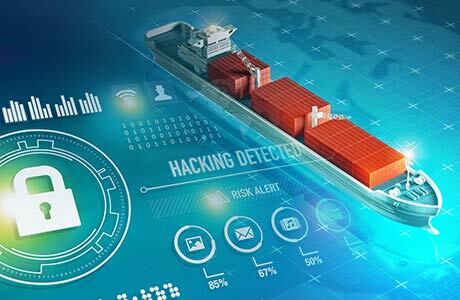 Industry expert forecasts strongly point to data and digital technologies as key influences in successfully developing the secure, efficient port of the future. Developing clear solutions with actionable intelligence and seamless integration with existing architecture. McKinsey says integration will be key. “Carriers and terminal operators share a particularly rich agenda: bigger vessels paired with investments in infrastructure for terminals, complete transparency on ship arrivals and berthing (thanks to geospatial analytics), and larger containers.” The forecast says to expect “increased efforts to establish data ecosystems that enable real time data sharing between multiple participants,” citing an increase in investments in digitizing internal processes and development of integrated IT infrastructures. S2 Global’s CertScanTM technology can play a critical role in securing and optimizing the port of the future. CertScanTM is a data integration platform and rules engine capable of providing a complete intelligence picture, enabling customers to increase screening capacity and share data with stakeholders, leading to a highly efficient inspection process. CertScanTM is currently in use at over 40 non-intrusive inspection (NII) sites worldwide. Learn more about how the S2 Global’s CertScanTM integration platform can dramatically increase throughput and provide actionable insights.